On Saturday, Representative Alexandria Ocasio-Cortez advised small-dollar donors to stop giving money to the Democratic Congressional Campaign Committee (DCCC) and instead give money directly to the candidates that they choose, Common Dreams reports. Ocasio-Cortez made the statement in response to a new DCCC policy of refusing to work with political consultants or similar firms who are working with candidates that are challenging Democratic candidates in the primaries. The new policy, which is supposedly in place to foster party unity and to undermine challengers within the party, would hamstring up-and-coming candidates, which Ocasio-Cortez clearly was when she won her own primary battle against a Democratic incumbent before going on to win her current congressional seat in the general election. Ocasio-Cortez pushed back on the DCCC firmly in a tweet. “The @DCCC’s new rule to blacklist+boycott anyone who does business w/ primary challengers is extremely divisive & harmful to the party. My recommendation, if you’re a small-dollar donor: pause your donations to DCCC & give directly to swing candidates instead,” she said. Ocasio-Cortez then went on to list a number of what she described as deserving candidates to whom money could be directed instead. The DCCC’s mandate indicates that they, and by extension, most mainstream Democratic contenders, will not do business with nor recommend consultants who work with any opponent of a sitting member of the House Democratic Caucus. 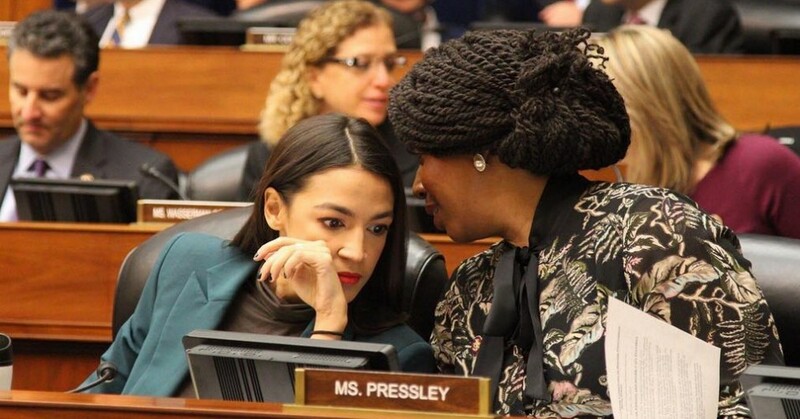 Pressley went on to say that one of the biggest lessons of 2018 was that the Democratic party is made stronger through what she calls “diverse, disruptive candidates and vendors,” who bring to the table a variety of perspectives and differing experiences. Representatives Ro Khanna of California, Mark Pocan of Wisconsin, and Pramila Jayapal of Washington each indicated that they, too, had been in touch with DCCC Chair Cheri Bustos to express their ardent opposition to the new policy. It is no coincidence that the more progressive wing of the Democratic Party are the ones so firmly opposing the new policy, as they are generally comprised of younger, more diverse, and less traditional candidates than the incumbent rank and file. The DCCC will decide whether to oppose or embrace some of this new blood as the next wave of elections approaches.